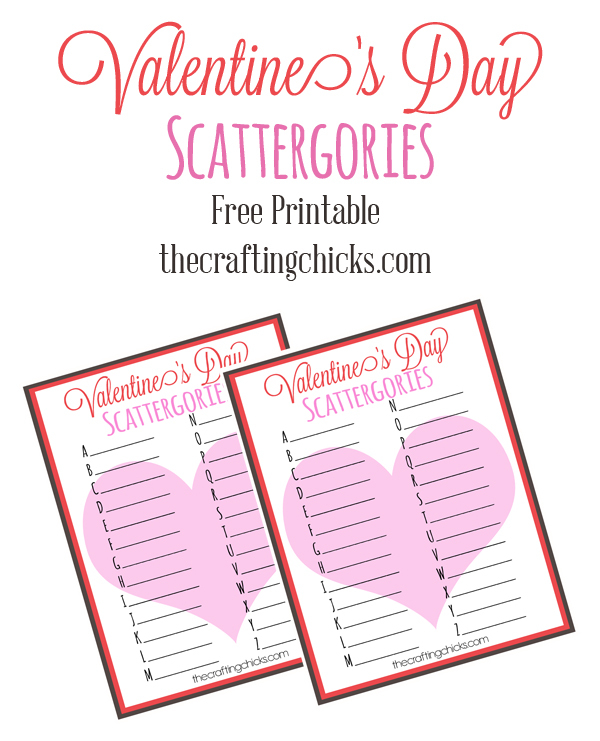 We’ve shared these fun Printable Scattergories games this year and we are excited to share our Valentine’s Day Version! 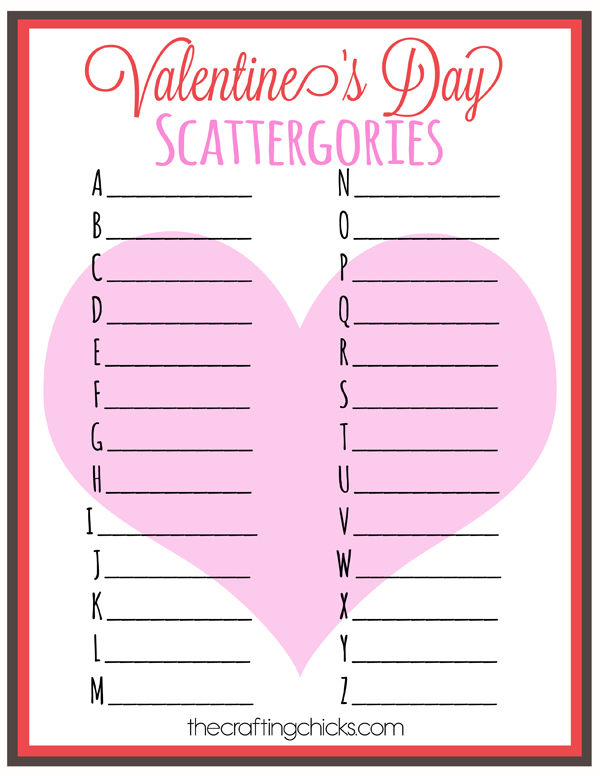 A great game for those Class Valentine Parties, thinking about the month of LOVE…from A to Z! To play Valentine’s Day Scattergories, set a timer and work as fast as you can to list a Valentine’s related word for each letter before the time runs out. When scoring, you get 1 point for every word that no one else chose for that letter. Highest score wins! Do you have a cheat sheet?